Sarah Rose Bloom was born in Melbourne in 1978 and raised a few hours up the freeway in the rural town of Swan Hill. Her childhood years were spent mustering cattle on horseback, breaking in racehorses and picking cut-flower roses on the family farm. After finishing high school, Sarah spent several years away from home, first completing a science degree then teaching skiing in France and the USA. On returning to Swan Hill, she found few prospects for a qualified scientist. Keen to stay in the area, Sarah suggested to her mother that they reboot her property as a rose farm. Challenges with freight and water-borne disease led Sarah to research value-adding alternatives to traditional roses. In 2004, after discovering a flower confetti farm in England, Sarah and her mother founded Simply Rose Petals, the southern hemisphere’s first rose petal farm. Simply Rose Petals has since won thirteen Australian Bridal Industry Awards which were voted on by brides themselves. The company’s petals are exported to fifteen countries and have appeared on high rating television shows including TV’s The Bachelor. Sarah has continually grown her business, conceiving and launching rose petal cannons, confetti cones and a world first range of freeze dried edible flowers. 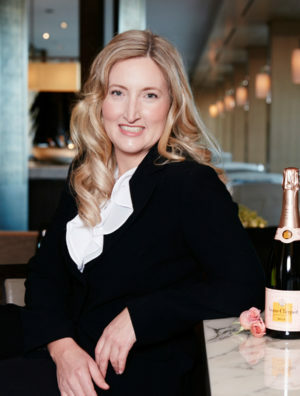 In 2015, Sarah won the Veuve Clicquot New Generation Award and went on to represent Australia on the Global Farmer Round Table. In 2018, she was named as one of Australia’s Top 50 Small Business Leaders. Sarah has been named recipient of a Churchill Fellowship and a Nuffield Scholarship. These have enabled her to travel to nearly 40 countries to continue to research, innovate and grow her business.